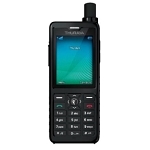 Thuraya SatSleeve+ standard kit (universal adapter included). 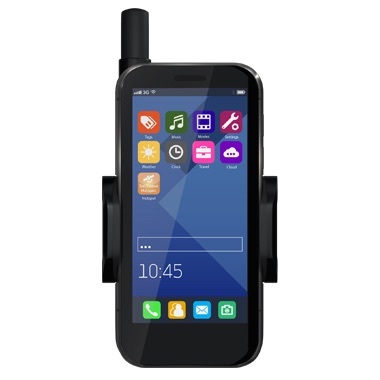 The Thuraya SatSleeve+ is the simplest and fastest way to transform your iOS or Android smart phone into a satellite phone. 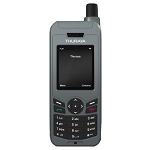 Thuraya coverage includes much of Europe, Africa, Asia, and Australia. The SatSleeve Hotspot app is compatible with iOS and Android smart phones. The new SatSleeve+ uses Wi-Fi to connect itself to the smart phone. Audio is routed directly through the smartphone allowing the user to use the smart phone while docked or undocked. Make calls and send messages in satellite mode. Access email and popular social media and messaging apps such as Twitter and WhatsApp. Browse the web. 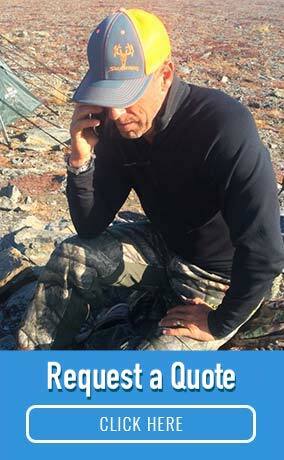 Thuraya SatSleeve+ users can post news updates, chat via message apps and transmit emails in satellite mode. A universal adaptor fits all iPhone and Android models between 58 and 85 mm width. The phone models that have been tested are shown below. The following smart phones have been tested and found compatible. 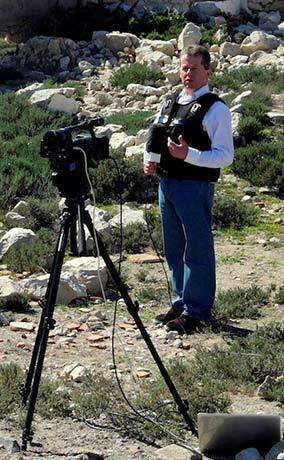 What is the Thuraya SatSleeve Hotspot? The Thuraya SatSleeve+ Standard Kit includes a Universal Adapter that fits all the above iPhone and Android smart phones with a width between 58 and 85 mm. The SatSleeve Hotspot Standard Kit is almost identical except that it includes a HotSpot Stand instead of the Universal Adapter. If you purchase the SatSleeve+ and later decide you really wanted the SatSleeve Hotspot, just purchase the HotSpot Stand accessory. If you purchase the SatSleeve Hotspot, and later decide you wanted the SatSleeve+, just purchase the Universal Adapter. It's that simple. The maximum Wi-Fi range of the SatSleeve+ or SatSleeve Hotspot, is 30 meters. Walls and obstructions will reduce the Wi-Fi range further. How Does the S.O.S. Button on the Satsleeve+ Work? The SatSleeve+ comes equipped with an S.O.S. call button that works even if your smart phone is not connected. The S.O.S. button will make an outgoing call to a predefined number set by the user. The S.O.S. button can also receive an incoming call. The SatSleeve+ has a built-in microphone and speaker. So when you make an S.O.S. call or receive an inbound call using the S.O.S. button you can communicate directly through the SatSleeve+ even if the SatSleeve+'s Wi-Fi is off or no smart phone is available!Can the Satsleeve+ Operate as a Stand-Alone Satellite Phone?Yes, a smart phone is unecessary. You can make a phone call to one pre-configured number using nothing but the S.O.S. button on SatSleeve+. You can also receive inbound calls using the S.O.S. button. When an incoming call occurs, a vibration alert lets you know. If you are in a situation where you have to conserve power, turning off the SatSleeve+ Wi-Fi and using it without your smart phone may be important. The SatSleeve+ can run for about 70 hours in Standby mode if the Wi-Fi is turned off. Will My Smart Phone Still Work in Cellular Mode When it is Docked? Yes, and inbound calls over your cellular network will take precedence and automatically terminate any ongoing satellite-mode call. If you want to use cellular-mode internet access, remember to turn Wi-Fi off on the smart phone so the smart phone is not using the SatSleeve+ for an internet connection. How Long Does the Battery Last? If only phone calls are made, about 3 hours of talk time is available on a single charge. A fully discharged battery takes about 2.5 hours to recharge. The battery charge status is shown in the SatSleeve Hotspot App. There is also an LED on the SatSleeve+ itself that turns from red to blue when the battery is fully charged. See the specifications page for detailed battery life, operating temperature, and storage temperature information. Outfitter Satellite offers a backpack mountable solar charger for use with the SatSleeve+. A: Hello. 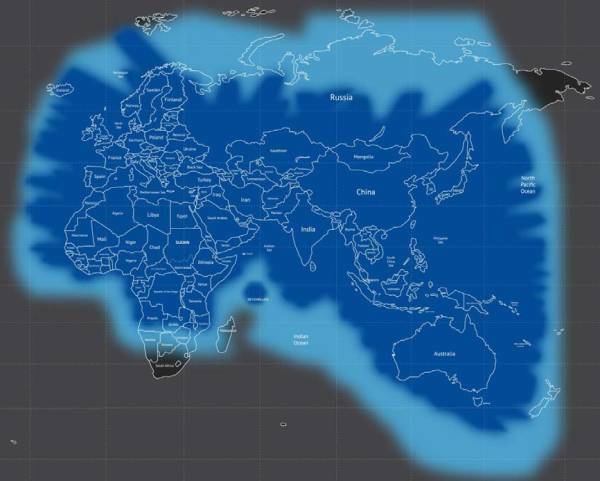 No, Thuraya products will not work in North or South America because Thuraya does not have satellite pointed at those areas. For those areas, you would need an Inmarsat or Iridium product. 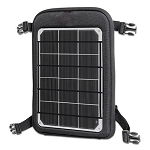 10-Watt Compact Solar Charger -- This solar recharging solution is designed to be lashed onto your backpack so the 10 Watt solar panel can recharge its 72 Watt-Hour internal battery pack as you walk. The internal battery can recharge your SatSleeve+ (optional Thuraya DC Car Charger required). 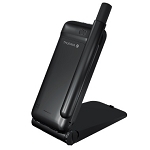 Thuraya Hotspot Stand -- converts the Thuraya SatSleeve+ into a stand-alone hotspot.